Made from 2.3 plastic bottles (500 ml)! The Wet Mop Pad with Baclock* is made from 70% recycled materials traps dirt and grime in the pad, leaving surfaces cleaner, so you won’t have to mop as often. Removes up to 99% of bacteria from a surface using only water. Even better, the pad does not need to be laundered after every use - only when the front inch of the pad becomes soiled. After using, remove pad from base, rinse and hang to dry. Our Mop Pads pick up even the tiniest particles and attract dust like a magnet. They are excellent for cleaning linoleum, vinyl, laminate, wood, marble and tile flooring; baseboards; ceilings; walls and even high windows, all without chemicals. Large: 52 cm x 15 cm / 20.47" x 5.91"
• Slightly dirty Dry Superior and Chenille Mop Pads may be cleaned using the Rubber Brush. • All slightly dirty Mop Pads can be washed with Norwex Dishwashing Liquid under warm running water and used again before laundering. • Mop Pads that have been used heavily should be laundered using a Norwex laundry detergent, which contains no fillers. • Norwex Mop Systems clean floors using microfiber Mop Pads and water only. • Dry Superior Mop Pads are constructed of Norwex Microfiber and use static electricity to draw, lift and trap even the tiniest particles of dirt and debris. • Nylon and microfiber give the Tile Mop Pad extra scrubbing power. • Norwex Microfiber in the Tile and Wet Mop Pads has the ability to remove up to 99% of bacteria from a surface with water only when following the proper care and use instructions. 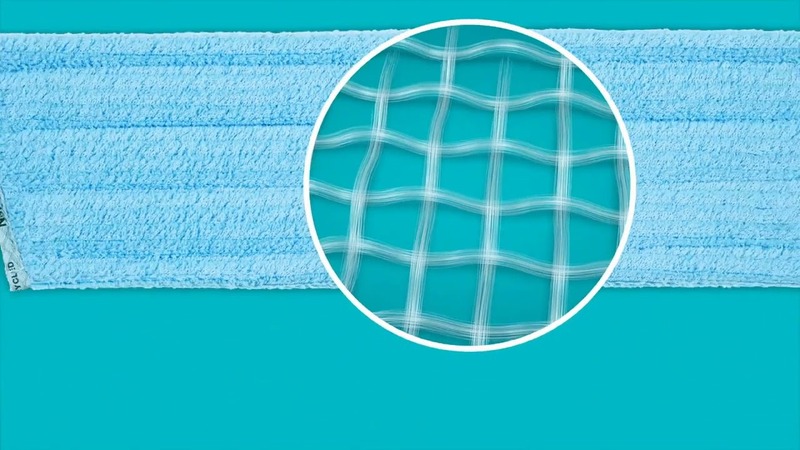 • The Wet Mop Pads contain Norwex's exclusive BacLock® agent. • One of the Wet Mop Pads is made from 70% recycled materials. • One of the Dry Mop Pads is made from 50% recycled materials. • Mop Pads can be easily switched to suit the purpose. • Mop Base can be locked into position to easily clean windows and ceilings. • Telescopic Mop Handle also fits our bendable microfiber EnviroWand® to clean ceiling fans. • Floors are safer for children and pets—No harmful chemical residues remain when mopped with water. • One Mop Pad cleans the entire floor, saving time. • No heavy pail to carry makes mopping easier. • Floors dry quickly and stay cleaner longer with no chemical residue to attract and hold dirt and grime. • Adjustable Telescopic Mop Handle easily reaches ceilings, walls and high windows as well as floors. • Use the Mop Conversion Kit and/or the Ergo-Bend to extend your cleaning power even more! • Clean wood or laminate floors with minimal moisture. Using too much water may cause the wood to swell and can result in streaks on flooring. • Mop Pads can be rinsed in the sink, if necessary; however, you may be surprised to see that one Mop Pad can clean your entire floor.